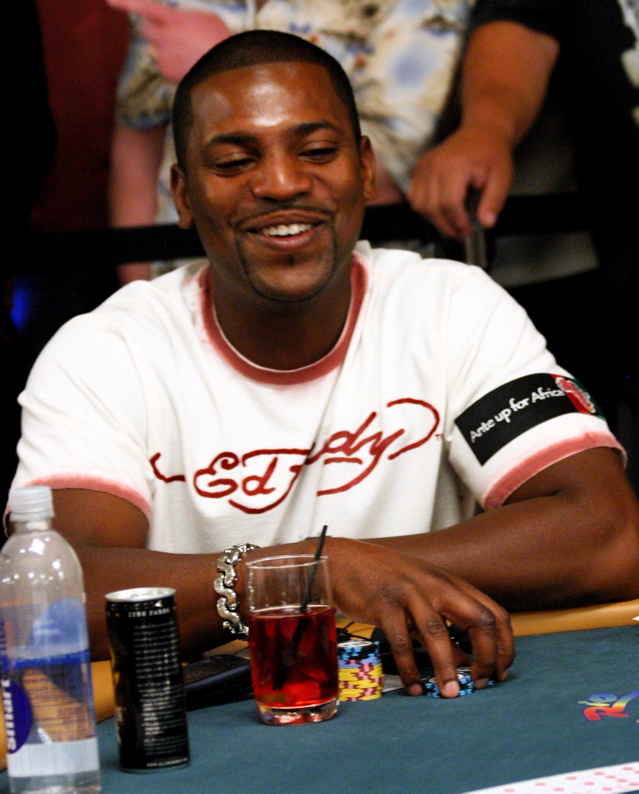 If we were the type of guys who posted on a poker forum run by sanctimonious old douchebag pricks, we'd probably make a Phil Ivey joke here. But we're far better than that. Seriously, we are. Don't laugh. So yeah, Don Cheadle, aka one of the coolest dudes alive, and Mekhi Phifer were among the celebs who played today in the Ante Up for Africa poker tournament and incidentally both showed up wearing the same not-so-limited limited edition Ed Hardy t-shirt (which apparently runs about $2k). 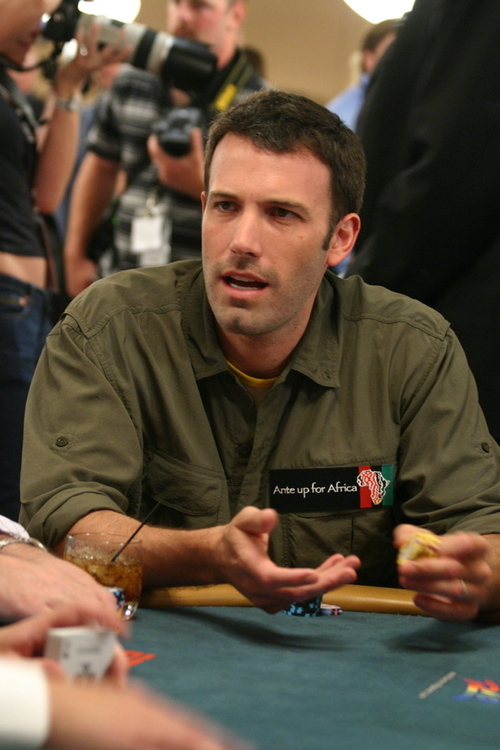 Matt Damon (above), the actor who starred in the only decent poker movie in the past decade and who stole the show in Team America, joined his bud Ben Affleck at the tables today in the Ante Up for Africa poker tournament at the 2008 WSOP. Another shot of Matt similar to above and one for the ladies after the jump . 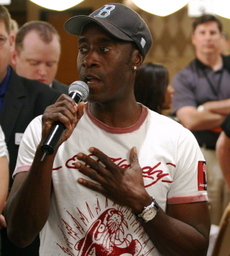 . .
Don Cheadle and Annie Duke's Ante Up for Africa poker tournament at the 2008 WSOP got underway today. 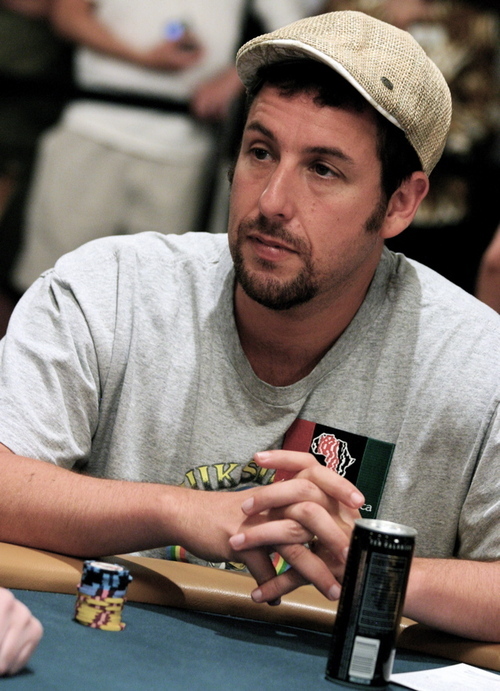 Lots of celebs ponied up the $5,000 buy-in to play for something called "charity". We'll have some pics from the event shortly but until then below is a photo dump of google images we found for some of the celebs in attendance.